Dessert? 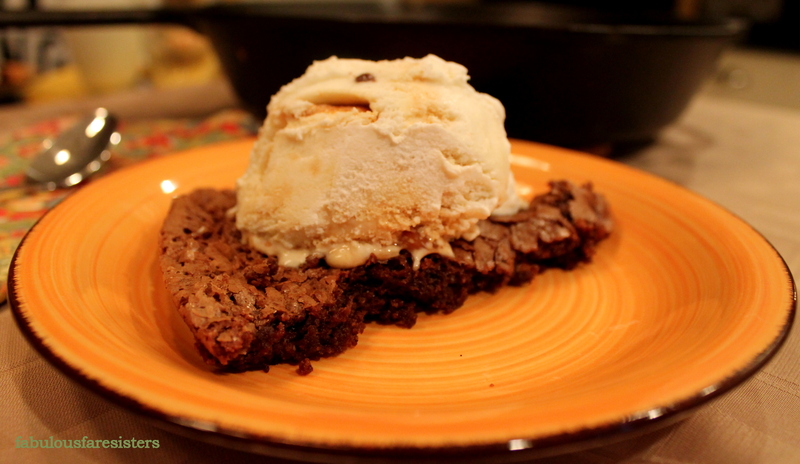 What about Brownies…warm chocolately goodness! These brownies are absolutely delicious. They’re wonderful all by themselves, but I topped ours with Salted Caramel Ice Cream. Extra Yummy! Heat oven to 350 degrees. Using a double-boiler (or a medium-sized bowl set over a slightly larger pan) over simmering water; place 3/4 cup chocolate chunks and butter in top bowl and melt chocolate. Set aside to cool slightly. Meanwhile, in another bowl combine the eggs, vanilla, almond and sugar. Stir in the melted chocolate. Stir in the flour, baking powder and salt. 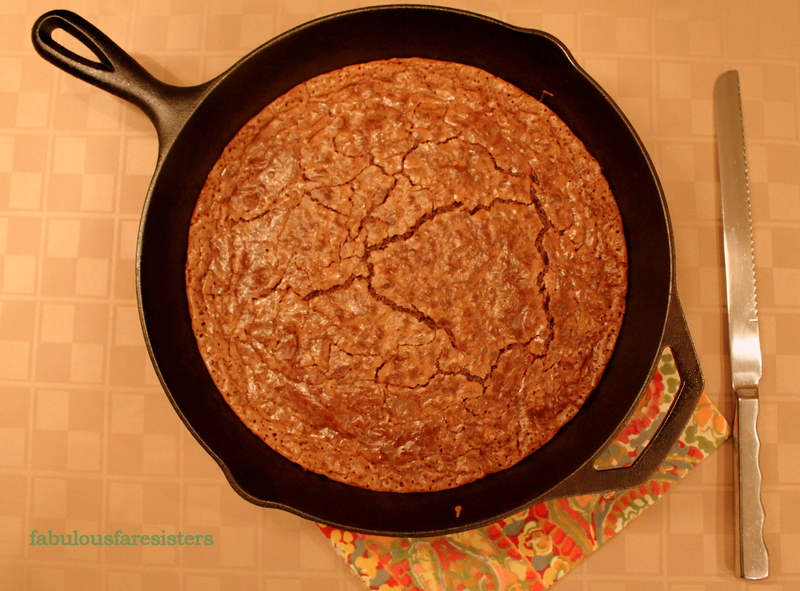 Add the remaining 1/4 cup chocolate chunks and pour batter into a 10″ cast iron skillet. Bake 20 minutes. Remove from heat. Serve immediately with Salted Caramel Ice Cream. Makes about 8 large slices of delicious chocolatey brownies. The Salted Caramel Ice Cream adds just that bit of saltiness to kick it up a notch! These look amazing! Definitely need to try these sometime. Nice method not seen that before. I so must try it! Looks PERFECT!! I am basically sold as soon as I see a dessert baked in a skillet! 🙂 Brownies- sold even more…. served with ice cream- salted caramel nonetheless… AMAZING!! Salted Caramel Ice cream?? These chocolate chunk brownies??? Ahhh, so THAT’S how you get away with all this food! A cup of tea would be great with this! Oh my Gosh, these look so yummy! Love the cooking method very nice! yes they look easy and yumm!